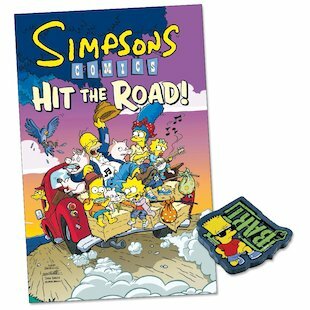 Simpsons Comics: Hit the Road! 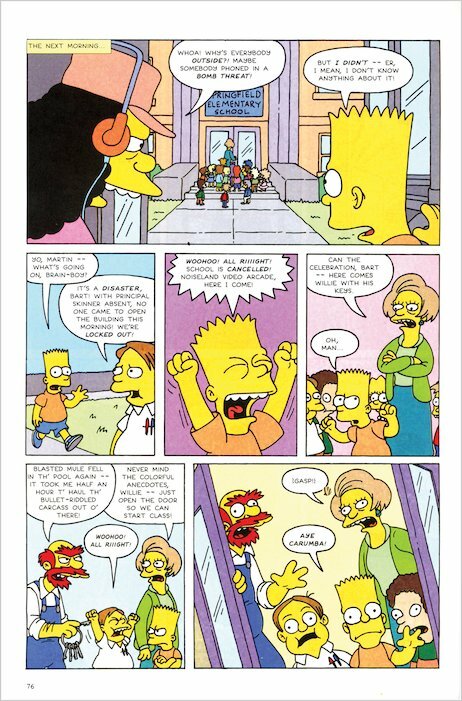 More wild and wacky antics as the crazy Simpsons characters change jobs, trade books and swap their lives for new ones! Join Homer and Sideshow Mel as they recount how they lost their jobs under hilarious circumstances. Follow Lisa as she fights a losing battle to interest Springfield residents in her book club. 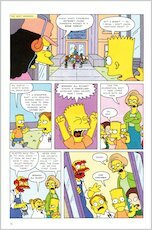 Guffaw as Homer and Flanders switch places; giggle as Homer lands his dream job at Lard Lad Donuts – and cringe as Principal Skinner discovers that great power comes with great responsibilities! More corking comic-strip mayhem to make you groan with glee!